The 80's brought out a bunch of creative Grateful Dead lot style t-shirts that could only be found in the parking lot of a Dead show. This is a classic "lot" design from Grateful Dead tour. Printed on a Fruit of the Loom 100% heavy cotton short sleeve Kelly Green t-shirt. A Sunshine Daydream exclusive! I've coveted this shirt for 25 years since I first saw it on the lot. I am thrilled to finally own it. Morning dew good work. Super timely delivery, vibrant ink and dye, kind hand-written note on invoice. 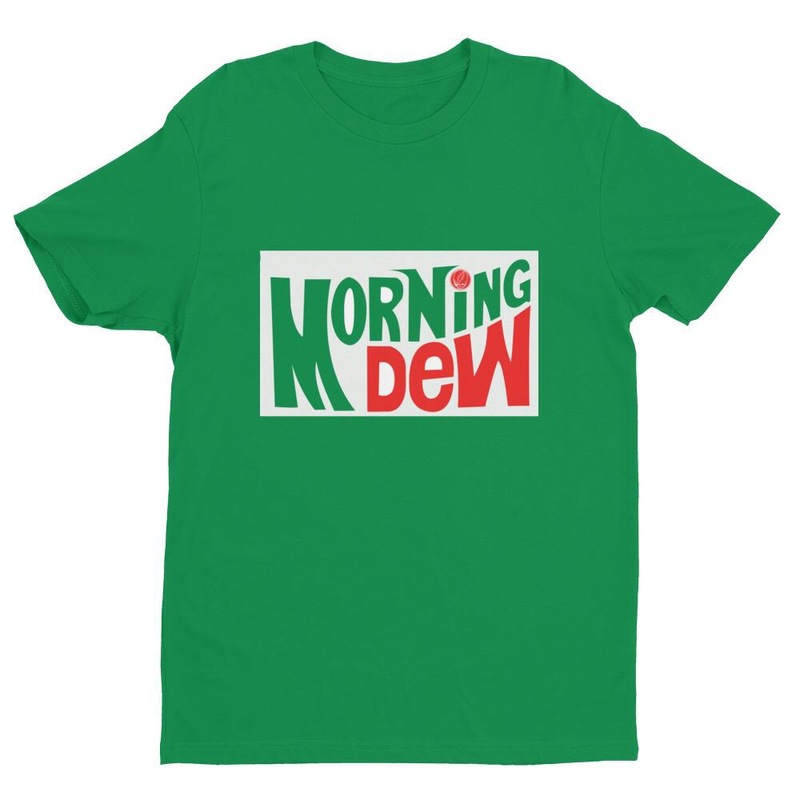 My daughter has a Morning Dew parking lot t-shirt that is just barely hanging together out of loyalty and love. I bought her a replacement - which is just great - and she has retired her original from active wear. Still puts it on though!